The Rabud Twist-N-Lock deck plate is a great solution for your access problems. Secure Twist-N-Lock cam with 1/4 turn opening lid provides weather resistant convenience with easy opening accessibility. Sturdy construction featuring U.V. resistant materials and replaceable gaskets. 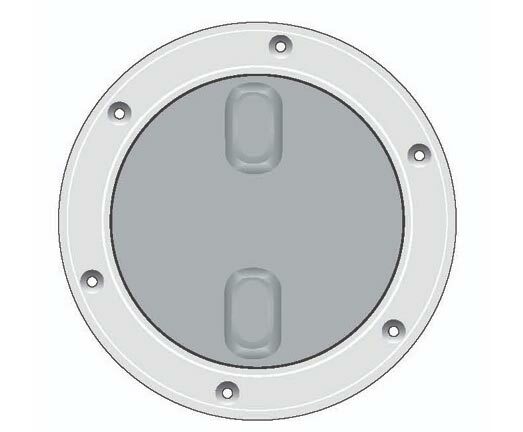 Available with textured surface for easy grip or smooth finish for bulkhead mounting.